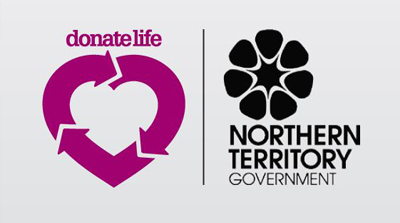 For more information and to register your organ and tissue donation decision wishes on the Australian Organ Donor Register, please visit donatelife.gov.au/decide and talk to your loved ones today. Mens Div Two heading to finals. The Mens Div Two team have come a long way in the NTFL over the last few seasons. 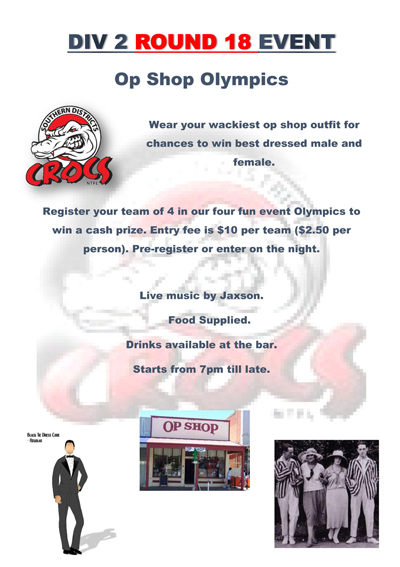 Due to the need to have another team for players who missed out on selection in the League or Reserves team or Under 18s each week and other players who just wanted to have a kick the Crocs entered a team back into the TEAFA in the 2009/10 season. 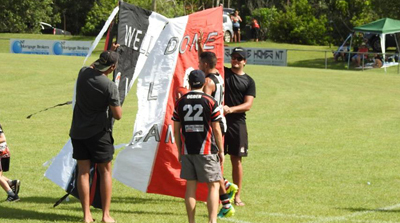 It took a bit of off field work to be allowed to have players transfer each week from the NTFL to the TEAFA but it did all go ahead. 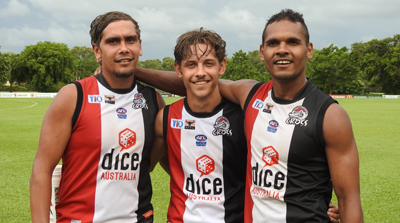 The following season the NTFL and TEAFA did combine and the former TEAFA sides along with the NTFL Reserves tams entered the Mens Div One and Mens Div Two competitions. Now six seasons later the Crocs Mens Div Two team is very important part of the Seniors Mens development of players and success of the SSDFC. 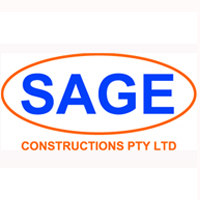 This season this team is heading into the finals with a good chance of going very deep towards a maiden Grand Final. If they can get their strongest team on the field they will be able to beat any other side. But as with the NT style of footy the teams can change any week due to players being unavailable and injury etc. Over the last few seasons along with junior players moving into the seniors grades the team has had a lot of former Crocs juniors like Captain Brett Rice come back to playing in this team. 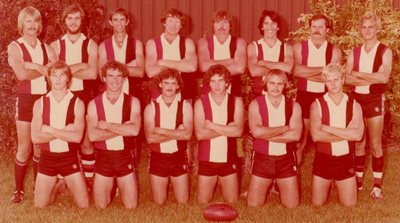 A lot of these player were very good junior players for the club including premiership players. Some players are former Crocs Premier League players and other players have come to the club also to play in this team so there is a great mix of youth and experience. The origins of this team go back much further though. 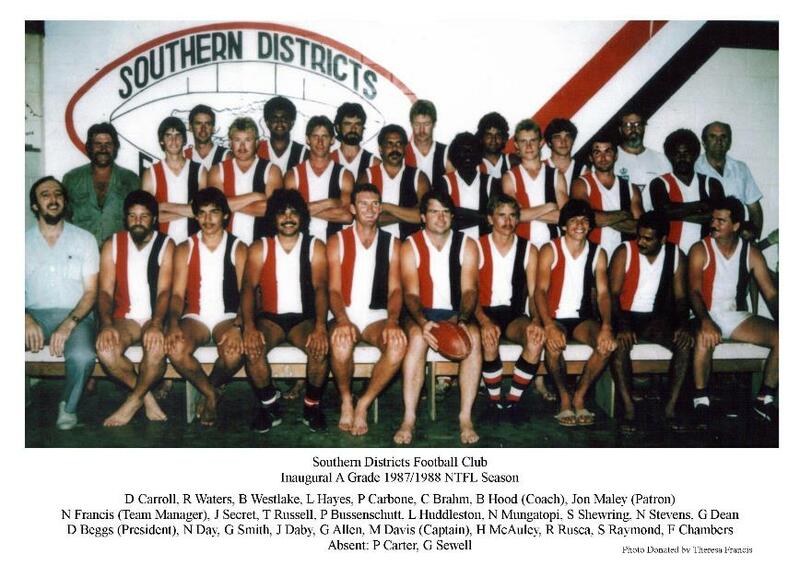 The SDFC first mens team was entered into the NTFL 35 years ago in what was called the C Grade Sunday competition. It was unique as many players would play for their clubs on a Saturday and then could play in the Sunday competition as well. 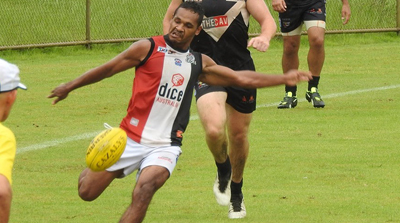 The following season the NTFA (later to become TEAFA) was formed and the Crocs stayed in that competition for another two season before entering a team into the NTFL Reserves competition. The Reliance On Volunteers To Run A Football Club. Southern Districts, like all non professional football clubs, relies heavily on volunteers to be able to field teams each week. On the administration side of things, committee members, from the president down, are all volunteers. The bar and canteen are largely staffed by volunteers. Functions are organised and run by volunteers. On the football side of things, again it is volunteers that enable the players to be able to play a game each week. We currently have 13 teams, and each and every team requires volunteers. Coaches are all volunteers. No one receives payments that would be regarded as adequate wages. for the time and personal costs involved. All junior coaches are unpaid volunteers. In many cases there are 2 or more coaches to a team. Having multiple coaches is not a luxury, but spreads the workload. 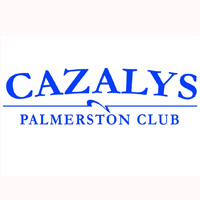 Team managers – This vital role is totally staffed by volunteers. Time Keepers - Every game we compete in we are required to provide a volunteer time keeper. Water Carriers – another vital, but often neglected role that requires volunteers. At the bare minimum, you require 2 for each team to have any hope of being able to supply enough water to the players in Top End conditions. Ideally you want 3 or 4. Runners – each coach requires a runner to deliver messages and make changes during the game. Sports trainers - We desperately need more volunteers sports trainers. It is a demanding job, particularly at senior level, but is vital for players’ health and well being. Umpires – Most junior teams will be required to provide goal umpires at some point during the season. The Division 2 sides - seniors, U/16, U/14, and U/12, are required to do so, if not every week then most weeks. - We are also required to provide volunteers field umpires for 2 – 4 games per week. We currently have 2 people willing and able to fill this role. That is 100 positions requiring volunteers each week minimum to enable Southern Districts Football Club to field all the teams in the competitions. That is without taking into account the man hours required for the day to day running of the club. Please help out in just a small way would make it so much easier for all. 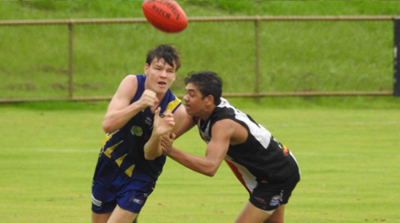 Will started playing for the Crocs in the 2010/11 NTFL season and when he arrived he was very quiet and had a lot to learn but he was liked very quickly by a lot of people. One story is told of him being on the interchange and the coach Majo Mclean looking for him on the bench and couldn't see him and then he saw him standing over at the fence talking to a security guard. Majo asked what are you doing. Will's reply was "I am asking about a job". A few people found that quite humorous. He went on to take out the Rising Star for the Crocs Premier League that season. He was selected in the NT Thunder for the 2011 NEAFL season and he played in the Thunders NEAFL Northern Conference Premiership winning team and then a week later in the NEAFL Cross Conference Premiership winning team. In the 2013/14 season he won the Most Consistant award, but his breakout was in the 2014/15 season when he was moved to full forward and with his leap and still learning his kicking he kicked 62 goals to take out the Leading Goal Kicker for the Crocs. Then last season he became the Crocs 5th and the NTFL's 6th 100 goal kicker for the season. 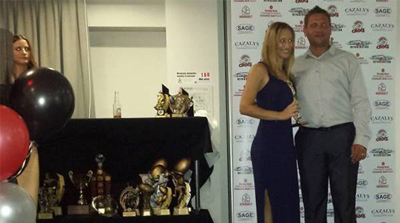 Winning the Dennis Dunn Trophy for the NTFL Leading Goal Kicker with 112 goals and the Crocs Leading Goal Kicker award. Then he was named the joint winner of the Crocs Best and Fairest with Jared Brennan. He just norrowly missed out on the NTFL Nichols Medal being Runner Up and also was named as the ABC Player Of The Year. This season he currently leading the NTFL Leading Goal Kicker award on 41 goals. Well done to Will Farrer lets hope the Crocs can win for him this Saturday. When Matt Cannard arrived at the SDFC eleven seasons ago the club was just starting to rebuild. The League side played very well in the 2005/06 season but finished wooden spooners. Turn the clock forward just over a decade later and since that season the club has only missed the finals once and the League side has won its second Grand Final Premiership and three Minor Premierships. The team has played in five Pre Lim Finals to unfortunately make only one Grand Final. Matt has been a big part of the League teams resurgence in the NTFL. He has won a Nichols Medal to prove he is a great player of the NTFL and for the Crocs he has won Best and Fairests, Runner Up Best and Fairests and Players Player awards, and for most of that career he has been the Captain of the League side. He has now stepped up and starting coaching, coaching the Under 18s for the last two seasons and under his leadership they are playing very well also. Well done to Matt Cannard on a great Career with the Crocs..
Click on the pic above to see more pics of a great day..
Twenty of the players from the 2006/07 League premiership winning team gathered at TIO Stadium on Saturday the 13th of December to watch the current side play and have a function that evening. 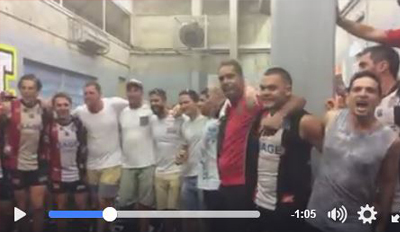 A special day was to unfold with the players in the change room when Coach Shannon Rusca announced that Captain Matt Cannard was announcing his retirement. Then they watched the game from a corporate box and then off to the function at which all of the current Premier League players and many other people attended. Many stories were told and the Coach from that season Michael McLean and other team staff were in attendance. Shirts were presented to commemorate the day. MC Mark O’Shaunghnessy did a great job and many other people including past President Ray McCasker got up and spoke along with Michael McLean. A great night was had by all. And the day overall will be something special for all who attended. 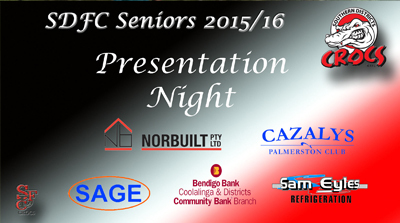 The SDFC will be holding the 2016/17 season Seniors Presentation Night on Saturday the 11th of March. 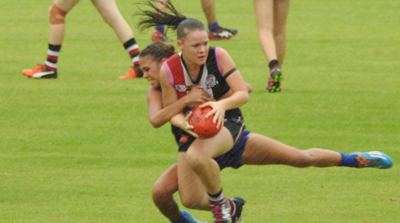 Airconditioned venue, highlights of the season and all the awards on the big screen, the club will be trying to have the Womens NTFL Premier League Grand Final and the Womens AFL game on TV's so peple can keep up with the scores. Bar drinks available. Tickets will include dinner. 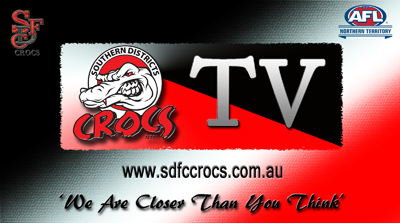 More information and ticket prices out soon.. Go Crocs..
Farmworld has been sponsoring the SDFC for a number of years now. Dave Sanderson has been involved with the communuity of Freds Pass Reserve and the rural area and sport and the SDFC for over thirty five years. He is currently the Vice President of the SDFC. 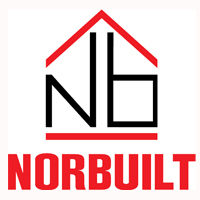 Please have a read about his business and visit the website. 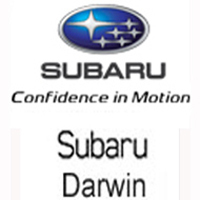 Farmworld is a family owned agricultural machinery sales and service centre which began serving the top end in 1997. Located in modern facilities at Humpty Doo in the heart of the top end horticultural and agricultural region, Farm World has a short but proud history of serving the people who grow our food, maintain our parks, gardens & who generally work hard to improve the territory lifestyle. Farmworld’s dedicated staff is experienced in all facets of servicing the rural and remote areas of the territory & they welcome your enquiry no matter how difficult the problem may seem. Our motto is "to service what we sell" – and so our happy friendly staff will do all in their power to satisfy our customer’s needs. Watch some of the highlights from the Crocs Premier League win over Waratah last Saturday night.. Go Crocs ..
A player is eligible to play in a finals match for a team provided that player has played a minimum of three (3) home & away matches for that same team. 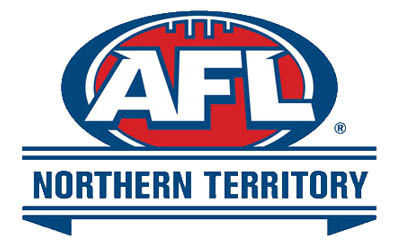 AFLNT affiliate leagues may vary qualifications subject to that competitions by-laws. A player is eligible to play a premier league finals match for a club if that player has played a minimum of five (5) home & away matches for that club’s premier league team. Both teams are playing in that same round of finals matches. A player who is deemed eligible to play in a finals match for a team under these by-laws will remain eligible to do so for the duration of that finals series. If you have any questions please contact the AFLNT Football Operations Department. Click on the pic above to watch the power point slide presentation in video.. 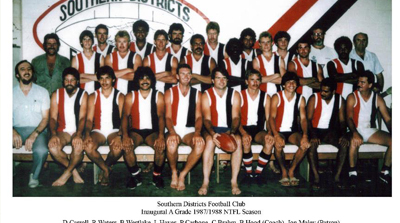 The SDFC first entered a League (now Premier League) team into the NTFL in the 1987/88 season.. click on the pic below to see a full size picture of the first squad picked the Thursday night before the first game in 1987..